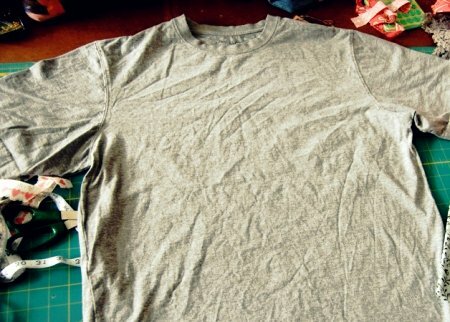 I know this is super last minute (like today is the last day) but just in case you had a craving for an extra creative outlet, check this out : The Costume Museum of Canada in partnership with Mitchell’s Fabrics & T-Shirt Connection, presents the “Make it Your Own” t-shirt reconstruction. I picked up my beautiful, giant, mens grey t-shirt yesterday. Last night, I sketched the re-design, and I'll tell you this - it is NOT a t-shirt anymore. PS. The designer shoot was great. All of us sat on one of my favorite couches in the world for the group shot, and it was so exciting to see a preview of all the cool designs. I'm getting excited for this show!